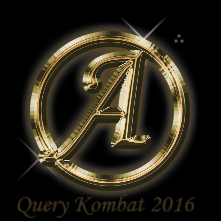 It's In The Details: Query Kombat 2016 Adult Champion! Ann M. Miller writes adult and young adult fiction, and enjoys a wide range of genres including romance, mystery, and Sci-Fi. Born and raised in Halifax, Nova Scotia, she now lives in windy (but beautiful) St. John’s, NL with her husband and son. She can usually be found glued to her laptop writing or revising, with her two lazy dogs for company. She has an unhealthy obsession with Han Solo, an addiction to Belgian chocolate, and is a sucker for Sinatra tunes. The first draft of The Absence of Butterflies was written during National Novel Writing Month. Connect with her on Twitter and visit her website.